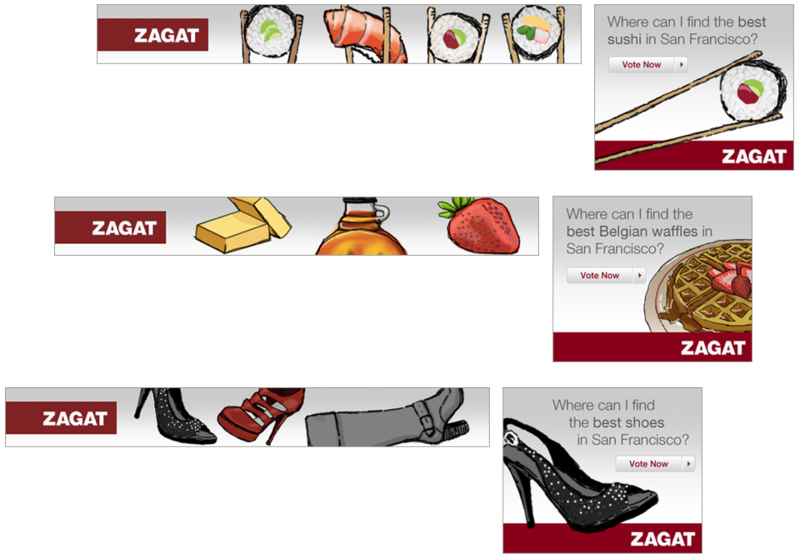 A group of animated companion banners created for Zagat, to flow throughout the page. These were meant to engage consumers to vote for their “favorites” in San Francisco. Another round of static banners for the same campaign can be found below.